At the 2011 BGCO Annual Meeting in Moore in November, the Baptist Messenger unveiled its new product, Messenger Digital, a fully digital edition of the printed publication. Connected to the Messenger Digital publication, the BGCO Communications Team announced the launch of the Messenger Mobile App (available for free download in the Apple and Google stores). Nearly 900 people have downloaded the app as of the end of November. The Messenger also is offering an option in which churches can put their church newsletter wrap (that mails with the printed edition) on the digital edition as well, at an additional cost of $10 per page for subscriber churches. 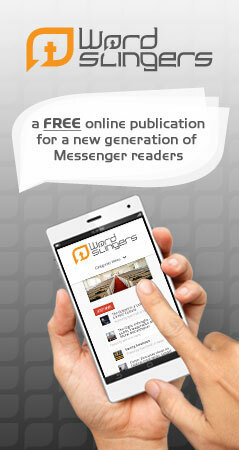 The Messenger Digital is available at no additional charge to individual and church group subscribers. Current subscribers may activate their accounts by contacting the Messenger office at [email protected]. Those seeking a new subscription may visit baptistmessenger.com/subscribe, or call 405/942-3800.